In this podcast, I ask Marcy Morrison, founder of Careers with Wings, to share her own personal pivot story. Marcy reflects on her, not one, but several pivots and shares her most important questions to illuminate the path of your career pivot. Marcy embodies that which she strives to evoke in others – energy, enthusiasm, passion and fun. Often referred to as bringing sunshine to every room she enters, Marcy helps others uncover and find their dream career via her books “Finding Your Passion: The Easy Guide to Your Dream Career” and “Falling in Love with Me: A Personal Journey and A Guide to Falling in Love with You” (in English and Spanish), coaching, speaking engagements, workshops and trainings. With the formula Passion + Purpose = World Change. Learn more about Marcy at careerswithwings.com. Enjoy more episodes of The Conscious PIVOT Podcast at AdamMarkel.com or download them on your favorite podcast player. Looking for more wisdom, resources and support for your own business or personal pivot? Join our incredible PIVOT community on Facebook at pivotFB.com and visit StartMyPIVOT.com to download your free Kickstart Guide! I have an incredible guest with me who is going to be talking about pivoting of all things. We’re both from back East. It’s funny living on the West Coast and saying that term back East, the people that live here think of it back East. There are a lot of transplants. I met a lot of people from the East Coast here in California. I grew up in New York and then moved, Randi and I got married and we started a family in New Jersey. Marcy, I’m not sure if you’re originally from New Jersey or elsewhere but I know you spent a significant amount of time in New Jersey. Marcy Morrison, thank you so much for joining us on the Conscious PIVOT Podcast. Are you from New Jersey? Born and raised on the Jersey Shore. What do we typically hear? When you say to somebody, “How you doin’?” and you do that thing back and forth. At some point, somebody answers the question, “How you doin’?” What’s an answer that you would hear quite a lot when you were growing up? “Good,” bland good. “How you doin’?” No energy. “Getting by.” You ever hear that one? “Hangin’ in there,” ”So-so,” “Mezza mezza,” “Another day,” ”Surviving.” Coming from that low energy place of your life isn’t great. It might be good, but you sure are surviving. It’s almost like an energy of commiseration. We’re in the same club. We get it, life is tough. To me, it’s like living in mediocrity. Not living in mediocrity but accepting it, tolerating it. I know from my own place and I put my hands here at my heart because I can think back to a time when I was in my late 30s when my body didn’t want to tolerate that mediocrity anymore. I was going to work every day with a lack of enthusiasm. Starting my day with a lack of enthusiasm, doing my job, fighting the good fight, coming home late and feeling like time was going by and I was losing the juice. I wasn’t enthused. I wasn’t that wide-eyed kid with a big dream anymore. Career Transition: If I can even help one person do what they love and make a difference in the world and wake up with energy, enthusiasm, and passion, then that’s me living my passion and purpose. I was going through the motions of working hard and doing what people around me were doing, which was slaving at life and job and making money. I never seem to meet a lot of people that had found their way out of that maze of that rat race. Fast forward a lot of years, I pivoted first in my mindset. Probably the first significant pivot for me was realizing that I did not have to continue to do what I was doing. That I could change, that I could change the way I thought to begin with, and that change in mindset began with there’s more. There’s more for me, there’s more that’s possible, that there is a potential, that I could regain that dream, that purpose in my life. That that was the first significant shift for me. Thank you so much for being on the show because there’s a big community of people who are either reinventing themselves because they realize that they’re not happy, they’re not fulfilled, and they want more. Then there’s another community of people that are among the walking dead or among the people living lives of quiet desperation. They are unhappy, they’re miserable, they’re angry. They’re having trouble sleeping at night. They’re not the expression that they could be as a human being and they’re a bit numb or a bit unconscious of it. That’s the purpose of this podcast. Whoever is attracted to it, we’re going to help people to wake up to the idea that there’s more and that’s possible for everybody. I know you have a pivot story that’s really amazing. Would you share a little bit about yourself and start with one of your pivot stories. I’m going to start with what is exactly an alignment and why I do what I do with my business, Careers with Wings. It is not at all what I set out to do. I know you heard my story at the Youth Success Week. I’ve been, for many years, working internationally. I always joke that I’m a wannabe Latina from the Jersey Shore, “Yo soy una Latina.”What happened was that I had two beautiful children and I stayed home with them for three and a half years. When I thought about, “What do I want to do next?” I didn’t want to travel as much as I did before. That would be really hard for me as a mom. I used to travel to Latin America five times a year. I asked myself, “What is the difference that I really want to make in this world.” The word is almost identical to what you said about the walking dead. I would literally feel pain in my body to watch people going to work every day like it was a prison sentence. I thought, “That’s not why we’re here. We’re not here to be the walking dead going to work every day.” I said, “If I can even help one person do what they love and make a difference in the world and wake up with energy, enthusiasm, and passion, then that’s me living my passion and purpose. I honor you for creating a space that helps support people in living their best self in their best life. I did hear your story but that’s part of what I wanted you to share. Would you share a little bit about how you created a bit of a difference in what you do. You were watching those people going to work with lack of passion and purpose and then you decided that you wanted to help people to find their passion and purpose. Would you explain that because I know you probably, like me, went to high school and did your best to get good grades and then thought, “I’m supposed to go to college because that’s what we’ve been trained to believe.” We’re supposed to get good grades in high school, go to college, get good grades in college and then come out and somehow be ready for life and to do the things we’re on this planet to do. That’s just not the way it works out for a lot of people. I know that certainly wasn’t the way it worked out for me. I honestly didn’t know what to do. My engineer father, he had his past figured out. When I did it all the way through, he’s like, “What are you going to do now?” I’m like, “I don’t know.”I dropped out, went to a community college and I asked myself the same questions that I ask everybody I’ve worked with, “When are you happiest? What is it that you love doing?” I realize how much I love being in another country, with 250 people from all over the world, and how much I was jealous that they learned English as a second language and I learned an accent. I had a Jersey accent but I had an Australian accent. In that work, the pavement, found this great company called the Inter-American Foundation. I worked in El Salvador. Somebody down there said, “Can you help us write a business plan?” I was like, “What’s a business plan?” This light bulb went off. I could save the world better if I had some business experience. That’s where destiny led me to San Diego to study at UC San Diego for International Business of Latin America. My path has been many pivots because then at graduate school, I decided that if I want to understand business, then I should work in business. I did an internship off in San Francisco at Bank of America, Latin America Finance. I also interned at Qualcomm and that turned into a full-time job in international marketing. That’s when you start to realize that it is not the job. For me, I couldn’t see where I was making a difference in other people’s lives. I also am about work-life balance. All of a sudden I was working on Thanksgiving. I remember I flew to Malaysia on Thanksgiving Day and I go, “This isn’t how I want to live my life.” I felt so out of alignment. I realized I need to be doing something that’s making a difference. I need to be working with people that are making a difference. My really good friend had won an award for Alumni of the Year at UCSD and he was speaking to hundreds of students and I had started my business two weeks before. He had been a social entrepreneur for five years. I said, ” I don’t know what I’m doing as an entrepreneur.”He goes, “You just got to do it. Just get out there.”He goes, “Come and hear me speak at UCSD to all these students,” and I go, “Okay.” He stopped the talk and he goes, “Everybody, I want to introduce you to Marcy Morrison and she’s a fellow alumna at UCSD. She is the best career coach in San Diego” and I’m like, ” I started my business two weeks ago.” The next thing I know, the head of Alumni Services from UCSD comes up to me and he goes, “If Paul Lamb says that you’re the best career coach out there, then I want you to come join us to help UCSD build an Alumni Career Program.” I was like, “Okay.” I always tell that story that when you are living your passion and purpose, the stars start to align and crazy things happen like that you could not make up or even predict are going to happen, right? I saw you training two different groups of high school students just last week at The Youth Success Week, which is up in Oceanside. It was a beautiful program that you were delivering along with Stedman Graham and Steve Farber. I would love it if you would share with everyone right now some of the strategies that you were sharing with those high school students around that idea of creating and becoming aware of your passion and purpose and then what do you do once you have clarity about that? That’s what happens when I work with clients too. You’ve got to push through that and I’m sure with your journey, believing in yourself is key. The other piece of that is how important it is to have mentors and a support team. We all hit walls. We all want to give up. We all want to stop and we need people there that continue to believe in us when we don’t believe in ourselves and then have practical skills. My friend Paul that invited me to speak at that event gave me his business plans to see how that was done too. How do you market and sell yourself? What is your unique value that you’re providing and how do you communicate that to the world? Then creating a vision. The truth is we have a vision. It may evolve and change over time but for me, my mission is to help as many people as I possibly can live their passion and purpose. I never expected to work for UCSD on helping with that project. I never expected to write a book. I never expected to be onstage with the Stedman Graham. I never expected all this but it doesn’t matter as long as I’m helping as many people as I can. When you have that vision and that clarity, the opportunities come in and then the ability to network and meet the right people that make it happen as well. Those are the steps. Will you share a little bit about what your success rituals look like? What are some of those things that you do on a daily basis to help you keep to the plan? Creating a vision and then having those support teams around and people that will not only are the stakeholders, those people that I like to call the people that directly are going to benefit from your success and they’re going to be rooting for you. Then who are the mentors, the people who have been there before that have wisdom and can guide you and not so much coaching you as they are showing you a bit of a path, etc. Coaching is super important as well. To have that support, people that will not just support you but hold you accountable. That’s what a coach is great to do. Who are the people you collaborate with or the people that you mastermind with that thing? It’s all part of the process. To me, once you have your clarity and once you have these actions that you take to get momentum, you also have to have things that are habitual that support you. I call those master habits. I refer to them as rituals. What are some of the rituals that you have that support you and all that you’re doing for your business and for the world? For me, I do have a clear vision of my life and what my priorities are. I’ve got to make sure that I’m me and with that, for me, it is body, mind, and spirit. We live in San Diego. We have no excuse to not be. I am outside every morning hiking Mount Soledad or being in the trees or going down to the beach at Windansea meditating, connecting to the higher source, turning my life over and saying like “Help me be the best that I can today and be of service wherever I can.”The physical part is working out. I’m training eating as healthy as I can. Maybe some ice cream here and there. Believing in yourself is key. I have two beautiful boys, Cameron is fifteen and Logan is twelve. I can’t give you success if my own kids are not successful. They are an important priority. To connect with them, to have me surrounded, to check in with my support team, my friends my family, my colleague. I believe in reading. I’m reading Bruce Springsteen’s Born to Run biography, which is awesome and the Dalai Lama’s My Spiritual Journey. I still love to learn about other cultures. I’m about Native American spirituality and all the ceremonies talk about rituals. I’ve learned so much from Native American rituals. For me, it’s making sure that all those areas are being tapped into throughout my day and having system in place to make sure that I am on point with everything that I need to do. It’s so key because there’s pressure in every business. People from New York and New Jersey where I grew up, they think you moved out to California and all of a sudden you know things will be easier or you’ve got the life. The truth of the matter is, we take ourselves with us wherever we go. It doesn’t matter whether you’re under palm trees or you’re under snow, you still have to deal with them. You have to deal with you and you have to deal with others. In order to have a fulfilling life, I believe you have to be in service. Service is draining. You give, you give and my own sense of how it is that we’re able to serve greater is that we are also willing to receive. Then we have to make sure that we fill ourselves back up. Rituals that involve mental, emotional, spiritual and physical well-being, getting to the beach, hiking, walking, putting good food in your body, taking time with your kids, all of those things are refilling your cup so that you have this overflowing cup and you’re able to then give that much more in the work that you do. Your work is very much in service to people that want to find their clarity or create clarity about what they’re here to do and what they want to do, what they’re passionate about doing and help them to get about doing that. It’s so cool to be on with another fellow Jersey. I was reading something about Bruce Springsteen’s book. He’s certainly been an icon to me since I was a kid. We were listening to Greetings from Asbury Park and Born to Run, and The Wild And The Innocent. For him, to be vulnerable as I believe it’s been said he’s quite vulnerable in this book about depression. It’s a blessing when people reveal themselves. I want to thank you for being willing to reveal something about yourself. I know it’s important for myself and for everybody that we get to learn from where other people have both made mistakes and where they’ve succeeded. What is your unique value that you’re providing and how do you communicate that to the world? I look at pivoting as a bit of a of an analogy for how to turn the things that are going on in our lives, and utilize it so that nothing goes to waste. It’s a bit of an alchemy, taking sometimes the things that are going on in our lives we absolutely love, and we want to continue to make that happen, duplicate that. Oftentimes, the toughest thing is not in how to deal with our success, although that can provide a challenge, but how to how to deal with our failure or how to deal with the things that we call failure and then alchemize that into the thing that ultimately becomes one of the things we’re most pleased about, proud of, and becomes our legacy. You’ve had a life that’s enabled you to have challenges and you’ve turned those challenges around. You continue to do that on a daily basis and that’s an inspiration. Thank you, Marcy. Thank you for everything that you’re doing and support people with PIVOT and all the other work that you do that’s uplifting humanity. It’s great. I felt honored to be with you and to know you. What’s the website where people can find out more about your brand of coaching and counseling? Definitely check in for the next installment of our Conscious PIVOT Podcast. You can also go to AdamMarkel.com and check out the blog or on Facebook. Follow us there. Come and join us and have fun. Learn some things and get out there and move yourself forward. That’s the deal more than anything else. We love you. Ciao for now. Thanks again for listening. I’d love to hear your comments, your questions, and topics of interest for upcoming podcast. Don’t forget to subscribe to the channel and follow us on social media if you haven’t already. Ciao for now. Marcy Morrison, founder of Careers with Wings, embodies that which she strives to evoke in others – energy, enthusiasm, passion and fun. Often referred to as bringing sunshine to every room she enters, Marcy helps others uncover and find their dream career via her books “Finding Your Passion: The Easy Guide to Your Dream Career” and “Falling in Love with Me: A Personal Journey and A Guide to Falling in Love with You” (in English and Spanish), coaching, speaking engagements, workshops and trainings. With the formula Passion + Purpose = World Change, Marcy’s Vision is a World Where Everyone Connects to Their Passion and Purpose to Change The World. Marcy has held workshops/trainings/speaking engagements for organizations/companies/events including Illumina, National Charity League, Society of Women Engineers, Just in Time for Foster Youth, San Diego Junior League Super Training Day, University of California San Diego, University of San Diego, Workforce Partnership, Lead San Diego, Jaycees, and many others. Marcy is a sought out career expert nationwide with her work appearing in/on MSN CareerBuilder, San Francisco and San Diego Univision, CBS Los Angeles, ABC Washington D.C., FOX New York City, San Diego Business Journal, and on San Diego stations including KUSI, Channel 6, FOX, and Channel 10. Marcy was a coach for RiseSmart where she assisted people through their career transition after a layoff. Marcy also has served as a consultant for Right Management where she facilitated layoffs and career transition workshops in both English and Spanish. Marcy is equally dedicated to her vision of giving children and communities opportunities – or wings – to rise above poverty – Children with Wings. Marcy also serves on the Steering Committee of the Community Alliance for Youth Success (CAYS) with Stedman Graham, Bobbi De Porter of Quantum Learning Network and other youth education/empowerment thought leaders. CAYS launched Youth Success Week in January 2016 with the Oceanside Unified School District in San Diego to serve as a nationwide model that is pulling together community resources and leaders to ensure youth success. Marcy is a former Board Member of Just in Time for Foster Youth where she also helped build Career Horizons for Young Women and teaches classes on finding your passion and mentors 6 young women. Her work with Just in Time was written up in the San Diego Union Tribune – you can read the story here. Marcy received Just in Time’s Volunteer of the Year Award. Marcy is the proud Mom of two boys and lives in San Diego, California. Marcy has a Master’s Degree in International Management/Latin America from the University of California, San Diego and a Bachelor’s Degree in International Affairs/Spanish from James Madison University. Her interesting career journey ranges from international business, development, sales, marketing in the non-profit, governmental and for-profit sectors has given her a wide-range of understanding when working with a diversity of clients. Adam Markel is a highly sought-after public speaker and transformational leader. After building a multi-million dollar law firm, Adam became CEO of one of the largest business and personal development training companies in the world, overseeing more than $100 million in sales. 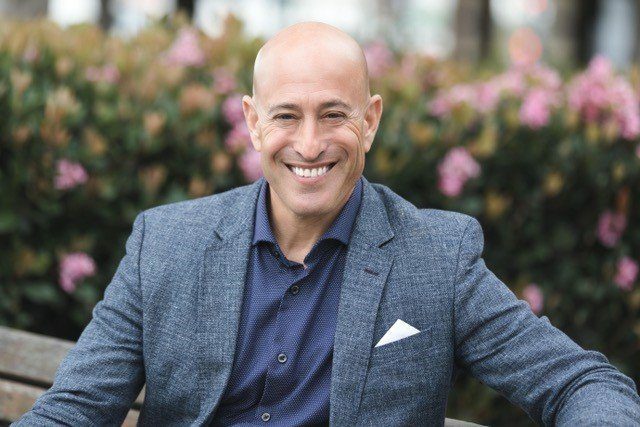 His unique expertise is in combining practical business tactics with accelerated learning strategies to embrace change, encourage innovation and increase sales for people and organizations worldwide.